Some confusement over smoking areas, more feedback would be appreciated. There is indeed a smoking booth after security at gates A. Feedback from Adam on the 19th Aug 2018. 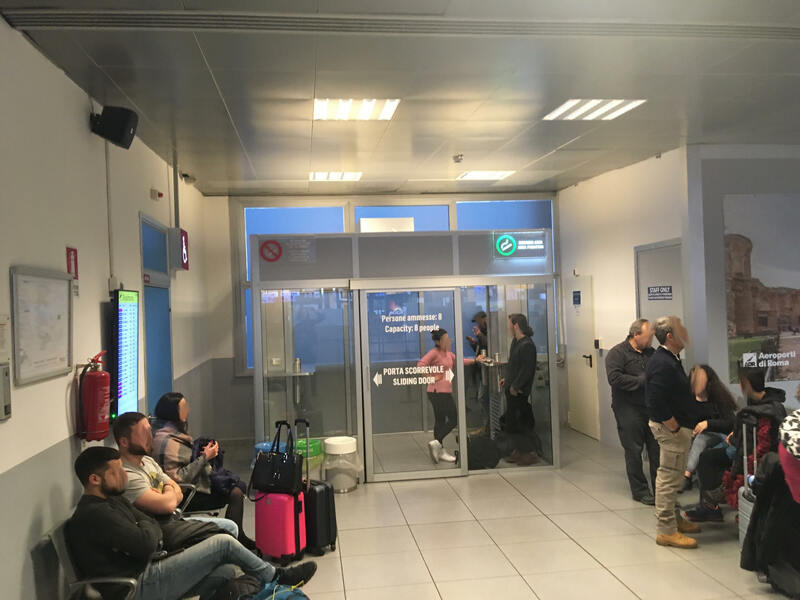 Update from Èva, Dec 2018: We’re here now and there is a smoking cabin after security check, right opposite gate B5/B6.Pics below. 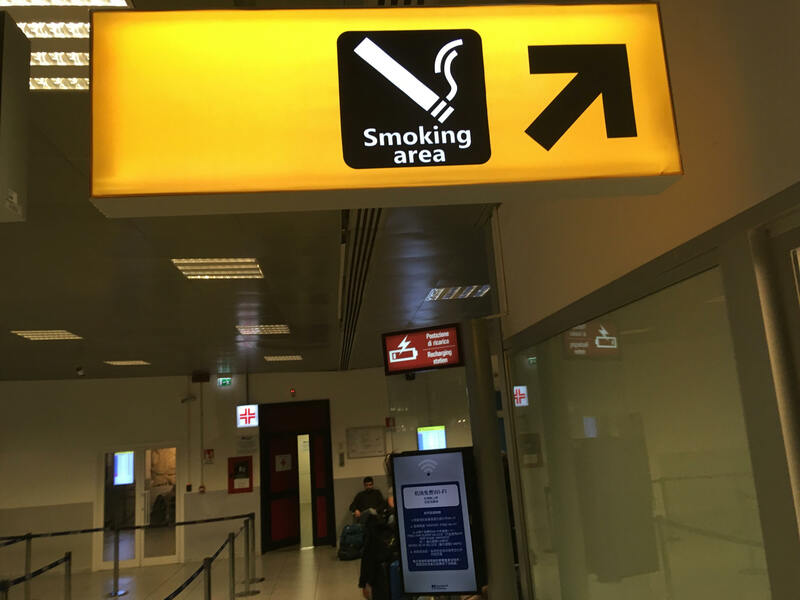 Dec 2018, from Kinga K: Hi, I was here today and there is a smoking place in the airport, after the security check. Many sign show it, but you can find it on the right where you see the sign "all passport" in the common area. There is one more place at gate B too after passport check. I can't see a smoking area after passport security (B gates). Feedback from Adam on the 19th Aug 2018. There is a small smoking area after security and passport control at Gate B - Feedback from William V. on the 8th July 2018. For connecting flights you must enter Italy and smoke outside terminal then go through Security again for your flight.